According to the automaker, the new model will offer significant refinements to the durability and reliability required by the commercial user, as well as to the comfort and ride quality needed by private users. Sales are to commence November 17 in Thailand, followed by a worldwide roll-out. The new L200 boasts the automaker’s latest ‘Dynamic Shield’ front design aesthetic, with a high engine hood line and beefier-looking lights positioned higher up, thus giving it a more powerful and imposing presence. Meanwhile, the extended wheel flares, new body curves with contrasting sharp lines and bright accents help give this truck a more modern appearance compared to its predecessor. Inside the cabin there are soft pad materials and stitching on the floor console, armrests and parking brake. As for on-board tech, you can find Forward Collision Mitigation, Blind Spot Warning, Rear Cross Traffic Alert, Ultrasonic Misacceleration Mitigation and the Multi Around Monitor, generating a bird’s eye view image of the area surrounding the vehicle. 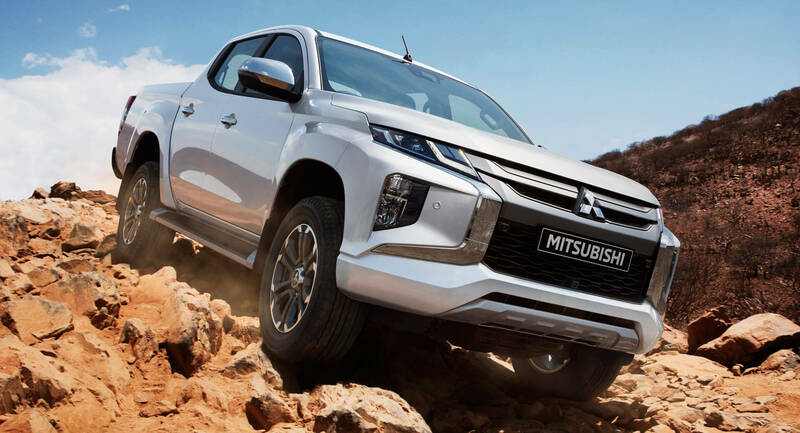 New L200 4WD models can be fitted either with Super-Select 4WD (for optimum traction and handling), or Easy-Select 4WD, which simplifies switching between drive modes. Both of these use a new off-road mode which has Gravel, Mud/Snow, Sand and Rock settings. When engaged, the off-road mode controls engine power, transmission and braking to regulate the amount of wheel slip. Also, the Hill Descent Control system is there to allow you to negotiate steep or slippery descents. Mitsubishi will announce European specs closer to market launch, which will take place late summer 2019.